It is said that Prahalada came here to seek the blessings from Lord Narasimha Swamy. As per the Legend, Nimi Chakravarthy from Surya Dynasty thought of performing Yagna to gain more powers. He requested Sage Vasishta to perform the Yagna to gain more powers than Indra. Sage replied that he will not be available for the Yagna. King then approached Sage Kousika to perform the Yagna. Yagna was successfully completed. Sage Vasishta on return came to know that King went ahead and performed the Yagna without his presence. Sage angered that King didn’t come to receive him and cursed the King that his body and soul will be separated. The king who got powers from the Yagna cursed Sage in return with the same Curse. 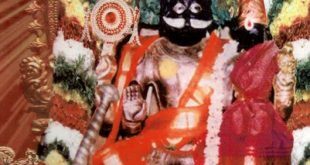 Nimi Chakravarthy not interested in reviving his life and expressed his wish to have Darshan of Lord Narasimha through devotees. 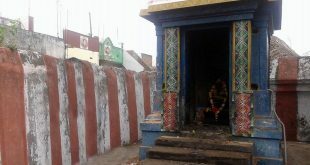 As per Brahma instructions, Sage Vasishta performed penance here for Lord Narasimha and relieved from the Curse. Major festivals are Chitrai Vaikasi Brahmotsavam, Chariot Festival on Narasimha Jayanti day and Puratasi month Saturdays. How to reach Singirikudi temple? The nearest airport is at Puducherry which is 14 Km away. The nearest railway station is at Puducherry which is 15 Km away. The direct bus is available from Pondicherry to Cuddalore. While on the way get down at Thavalai Kuppam. From ThavalaKuppam it is 3 Km away.